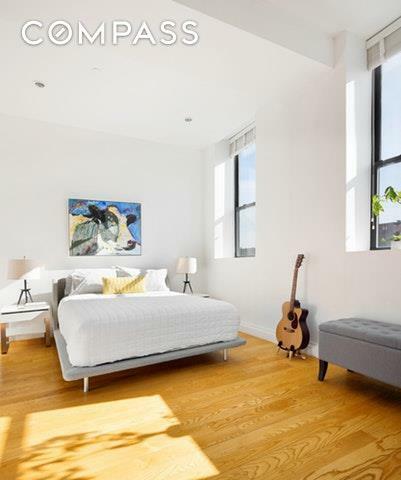 Open and airy two-bedroom loft at Warehouse--a lovely boutique loft conversion condominium. 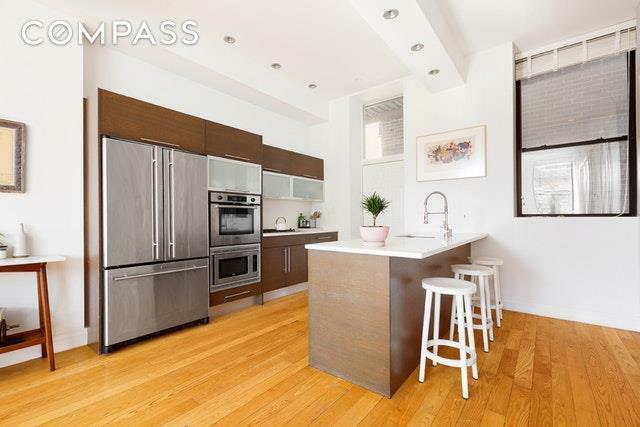 The private, keyed elevator opens directly into the sprawling and sun-drenched living and dining area. The open kitchen features a Jenn-Air French door refrigerator with bottom freezer and stainless steel Bosch cook-top, wall oven, microwave, dishwasher and an in-unit washer/dryer. Enjoy morning coffee at the Caesar Stone breakfast bar or take it to the private balcony just off the kitchen. 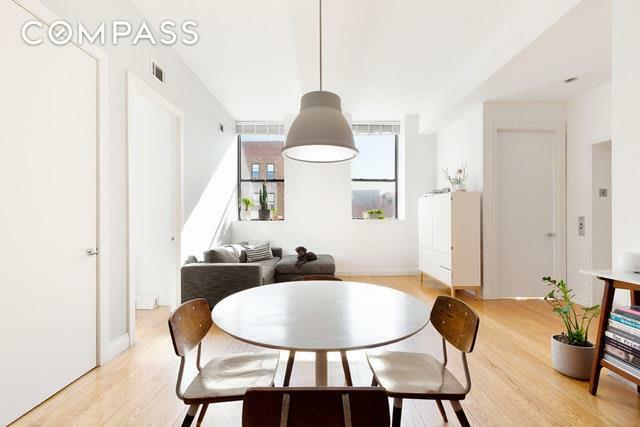 Wood floors and 10.5-foot ceilings give the apt a grand, open feel. The extra large master bedroom easily fits a king bed, and the master bath (with jack and jill entries) features a glass-door shower, bathtub and a custom wood vanity. Take your private elevator to the furnished roof deck and enjoy amazing city views on summer evenings. And best of all, youre close to the JMZ and L! You are also 3 blocks to the entrance to the bridge, and in downtown Manhattan in 5 minutes. 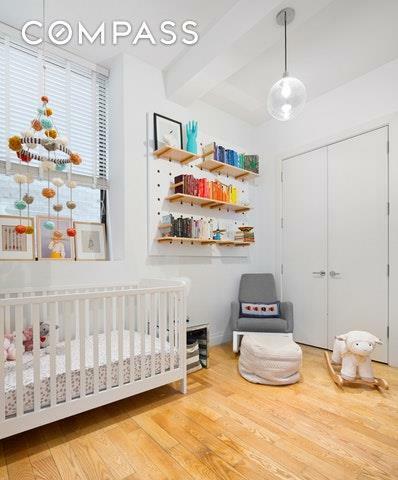 198 Roebling is also just 5 blocks to the waterfront and 3 blocks from all the shops along Bedford Avenue, including Whole foods and the Apple Store. Choose from dozens of fabulous restaurants right outside your door, including Walter Foods, Birds of a Feather, One or Eight, Salt and Charcoal, the Bedford Cheese Shop, and many, many more.Tax abatement in effect till 2029.